Cybermen are one of the classic villain factions in the venerable Doctor Who British sci-fi TV series. The following are real old notes. 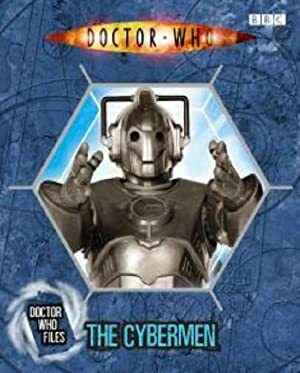 They were thus almost entirely about stats, though we added a section about using Cybermen in the DC Universe. Cybermen tend to be very confident in their durability, and put their Hero Points behind the EV of their cybergun to the exclusion of everything else. 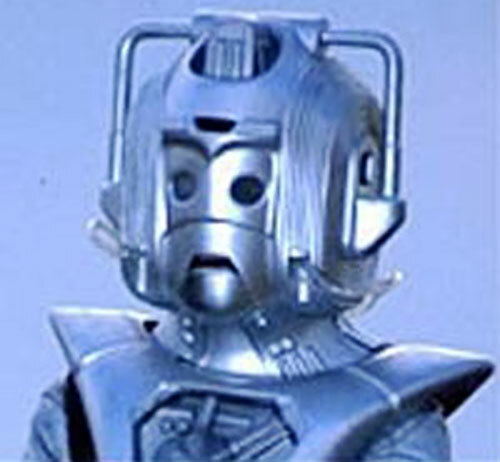 The first picture depicts a Cyberman from a more-recent-as-of-this-writing Dr. Who series. 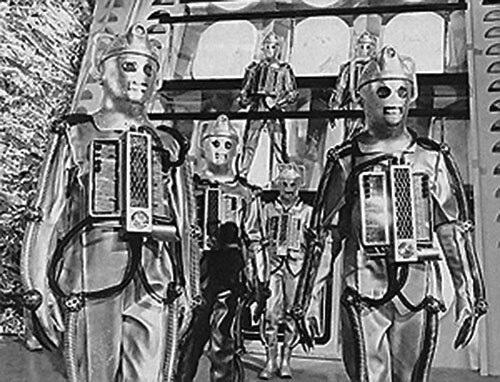 Below are “classic” Cybermen for you nostalgic types. 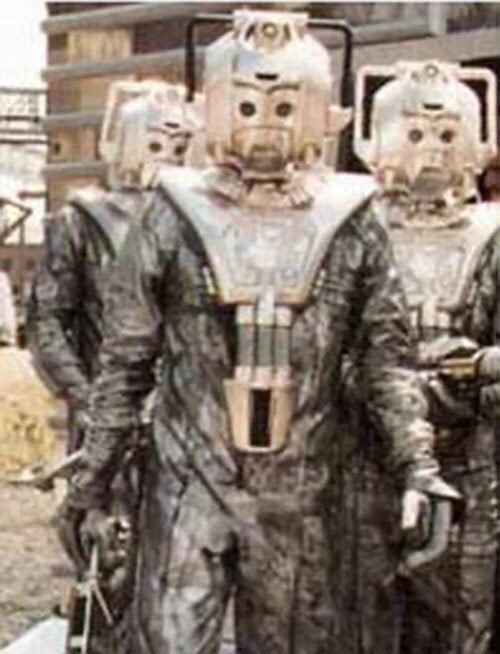 The Cybermen were another group of Kryptonian colonists, similar to the group lead by the Cleric. They suffered the same Eradicator-induced flaw that the other Kryptonians did. But in this case the use of experimental cybernetic life-support units kept them alive – even after leaving Krypton’s sphere of influence. 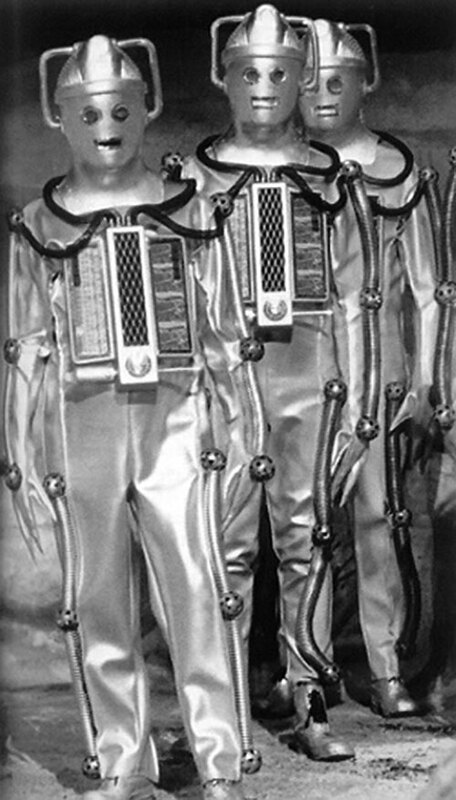 These life support units eventually grew into the cyberbodies used by modern Cybermen. Their biology has evolved to better suit this new form of existence. As a result, they do not enjoy the benefits of yellow-sun radiation that Kryptonians usually do. The Cybermen eventually settled on the planet Mondas. They modified it to be a travelling fortress much like Warworld (which they had encountered in their travels). By this time the twin pressures of seeking out new energy sources and their forced abandonment of their humanity had driven them insane. They now cared for nothing but obtaining power, in both the energetic and domineering senses. Mondas followed Warworld at a safe distance. They scavenged Warworld’s victims for both power sources and slaves to be partially or fully converted to Cybermen. The Cyborg and Mongul had become aware of Mondas’ existence. The Cyborg (in his role as the reborn Superman) sent the remaining heroes of Earth out to battle the Cybermen. As the heroes repelled the Cybermen, the Cyborg and Mongul continued with their plans to remake Warworld on Earth. But they were foiled by Superman and Green Lantern. Mondas was severely damaged and barely escaped the contingent of Earth heroes. It was believed to have left the system, but had actually gone into a long-period orbit. It occasionally returned to plague the Earth until it was destroyed in the first Cyber War. 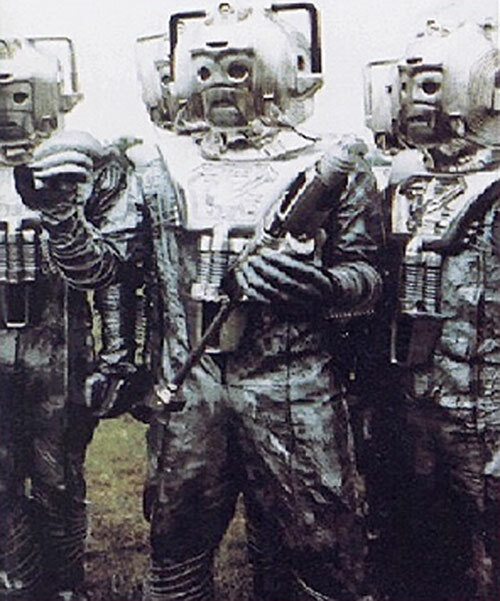 By the time of Mondas’ destruction, the Cybermen had mined enough material out of the Oort comet cloud surrounding the Sol system to send colony ships out into the galaxy. These colonies established formidable Cybermen fleets, but these were mostly wiped out in a series of battles with other Milky Way interstellar political powers. By the 30th century the Cybermen are a waning power after a long string of defeats in the last thousand years. But they still have powerful enclaves in some of the unknown regions. They also have clashed with the Dark Circle as both groups try to establish forces in those areas. Genius, Iron Nerves, Scholar (cybernetics). Attack Vulnerabilities (-4CS to radiation, gold, acid (on respirator) and gravity), Fatal Vulnerability (radiation, gold dust on respirator (trick shot)). Cyberleaders have INT 05 and Leadership. By Sean MacDonald, DCU history by Roy Cowan. Source of Character: Doctor Who . Helper(s): Writeup dusted by Sébastien Andrivet. Also Nick Yankovec, Siskoid, Bil.